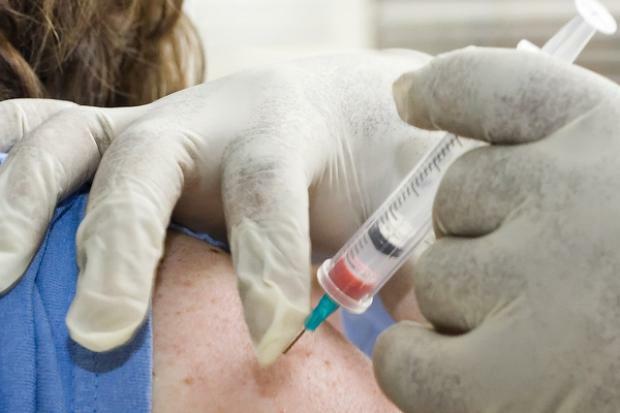 Free flu shots will be available to community members Saturday at Whole Foods in Englewood. ENGLEWOOD — Free flu shots will be given in Englewood at the Whole Foods Market, 832 W. 63rd St. The shots will be given from 9 a.m.-2 p.m. Saturday. The Chicago Department of Public Health has launched its annual awareness campaign to encourage residents to get a yearly flu shot. In the U.S., up to 20 percent of the population is infected with the flu every year and more than 200,000 people are hospitalized for it, health officials said. The Centers for Disease Control and Prevention recommends that every individual six months of age or older get a yearly flu shot, which protects against several strains of the virus. The health department has teamed up with Smart Chicago Collaborative to re-launch its Flu Clinic Finder. Residents can use the web-based app to find a location nearby where they can get their flu shot. CDPH is also partnering with the Chicago Park District, which is offering 200 Parks Points to every resident who receives a flu shot. Park Points is a free loyalty program where members can use points to purchase Rewards Store items and win chances to win prizes. "The Chicago Park District supports CDPH’s efforts, and is pleased to offer this benefit. We strive to give park patrons a variety of opportunities to adopt a healthier lifestyle through our programs and services, which can also be a step to flu prevention," said Michael Kelly, General Superintendent and CEO. CDPH has also collaborated with Blue Cross Blue Shield of Illinois, aldermanic offices and various partners to host community events where residents can get their flu shot. Residents can attend any of the walk-in clinic events and should bring their Medicare or insurance card if they have one.